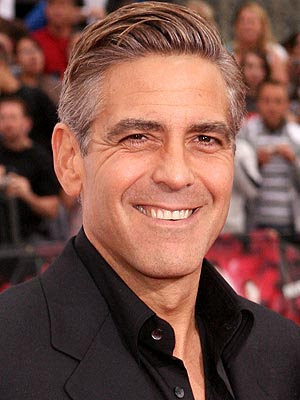 Yes ladies....Mr Clooney is a single man once again. Not sure why this information excites me, but it does. He's just so DAMN handsome! I met him 2 years ago at a party and let me tell you, I didn't want to wash my hands after he shook them. Woof, he's even more hypnotic in person! btw, I'd love to be available in Australia. With your help I'm assuming. It's funny that this news even makes a newlywed happy!!! I think all women want him to be single forever. Unless they can have him. He's awfully cute and nice to look at but girls, he's the type your mama warn you about. He's not the marrying kind. he is such a handsome man!